Many people assume that if they don’t drive distracted, they aren’t at much risk for a distracted driving crash. However, distracted driving is a lot like drunk driving. Even if you make the right choices, you still have to live with the consequences of what other people do. After all, with so many people choosing to text or post on social media while in control of a vehicle, chances are strong that you drive past several people doing this every day. It only takes one person texting at the wheel to cause a crash that can change your life forever. Much like drunk drivers, who often underestimate their impairment, distracted drivers seem to believe they aren’t at risk when they text at the wheel. Many people probably think that they are better than average drivers, leading them to believe they won’t be as susceptible to mistakes made while playing with a phone behind the wheel. Unfortunately, as is the case with overconfident drunk drivers, people who text at the wheel often overestimate their own abilities. According to the Centers for Disease Control and Prevention, nine people die every day in distraction-related crashes. Many more suffer debilitating injuries or serious property damage because of someone else’s decision. Even reading a single text could mean endangering everyone on the road. People driving at 55 miles an hour will travel the length of a football field in the five seconds it takes them to read a message. That is a long distance to go without your eyes on the road or both hands on the wheel. When someone causes you serious bodily injury or destroys your vehicle, you have legal rights. This is particularly true if the costs from the crash exceed the amount of insurance carried by the other driver. Personal injury lawsuits can help you recoup lost wages, medical costs and expenses involved in repairing or replacing your vehicle. 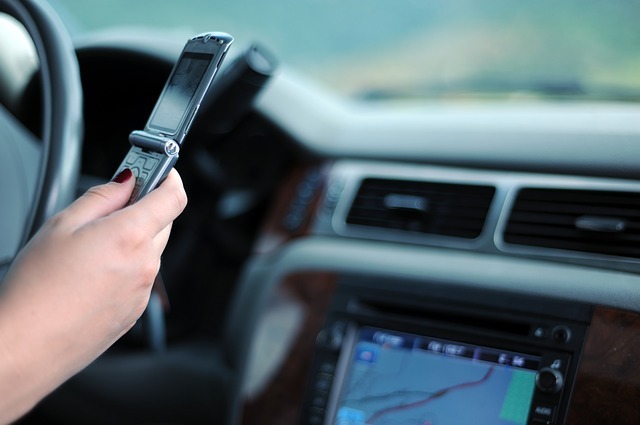 In the tragic event that you lose a loved one to a distracted driver, a wrongful death lawsuit may also be an option. While there are some penalties for distracted drivers, they are not nearly severe enough in the event that an injury or death occurs. In fact, first time offenders may only face a fine of $50 and one point on their licenses. A second offense may only carry a $100 fine and two points, while a third could mean a fine of $150 and three points. Holding someone financially accountable for the damages they caused maybe the best way for you to seek justice after a distraction-related crash.